I used to think I didn't like cranberries. Thanksgiving would come, and my mom would make a batch of homemade sauce, but I wouldn't touch it. At some point, I realized, hey, they're not so bad! 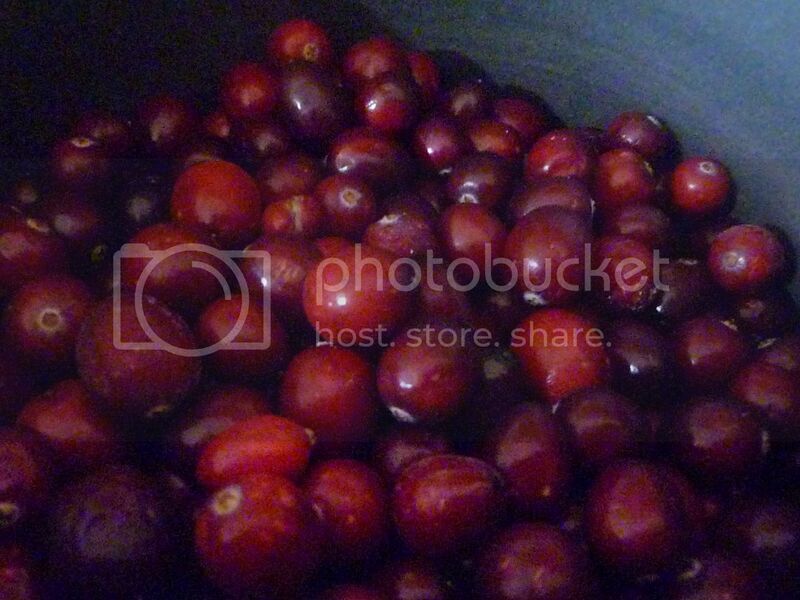 And now I make my own cranberry sauce to accompany some of my favorite poultry or pork dishes. 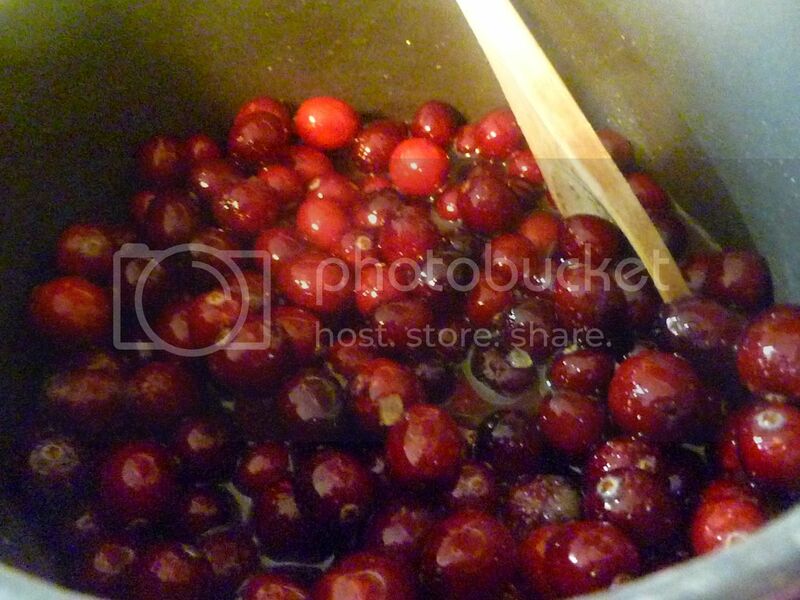 Just grab a bag of fresh (or frozen) cranberries. Check them over for stems or any wrinkly-looking guys. Then dump them into a pot. 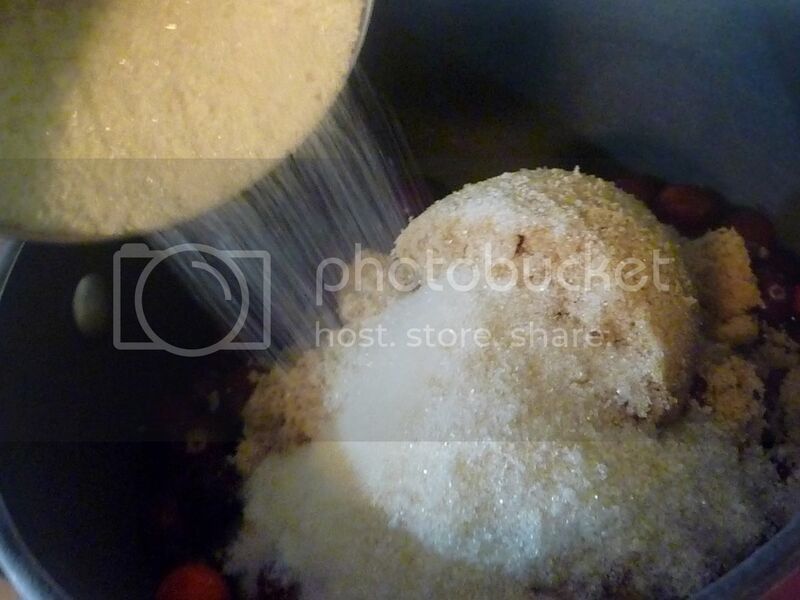 Add some brown sugar. 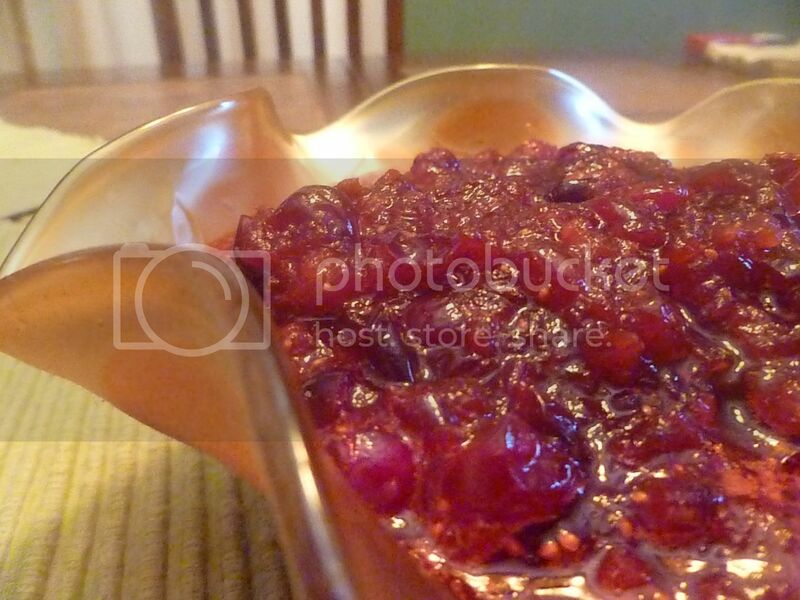 Cranberries are pretty tart, and I like mine on the sweet side. I used white and brown sugar. Just because I didn't want the brown sugar flavor to overpower the sauce. 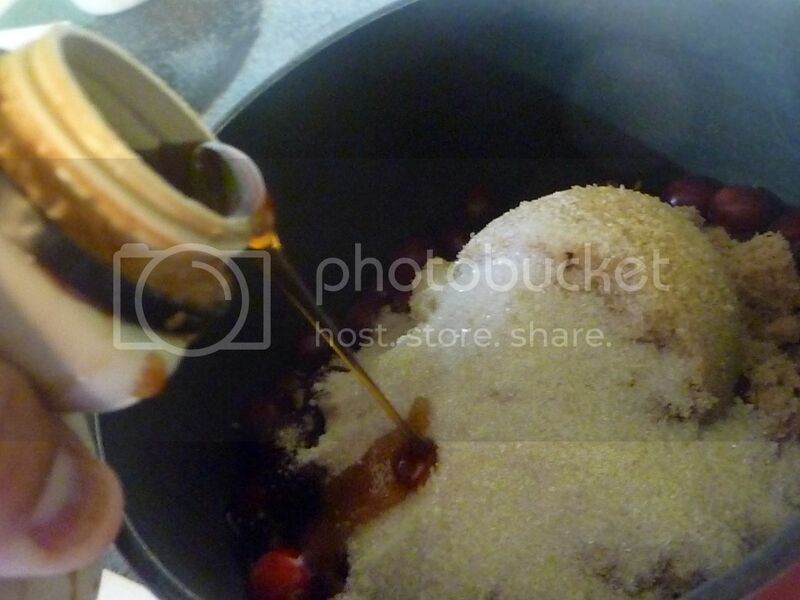 For festivities, a dash of maple sugar rounds out the sugary sweetness. 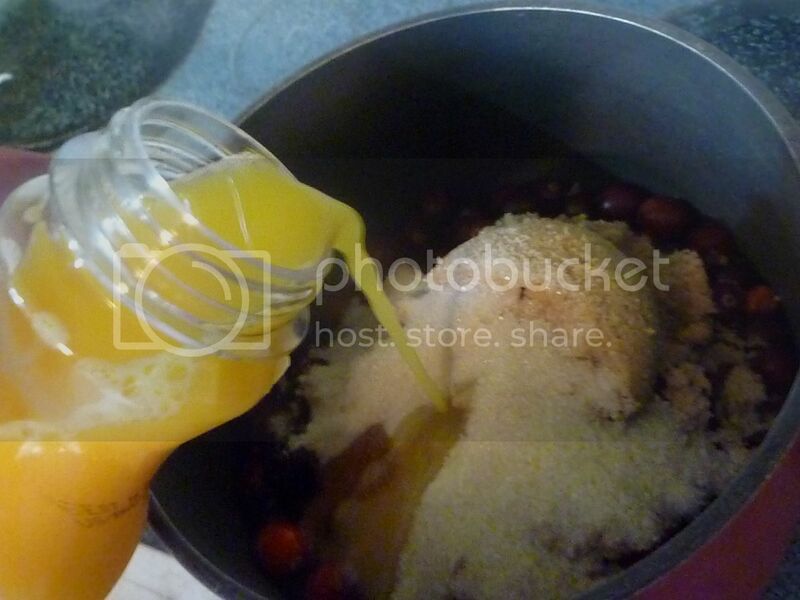 Orange juice will help enhance the cranberries, and add more flavor. If you're not a big fan of orange, apple juice or cider, or cranapple juice, would be a nice substitution here. 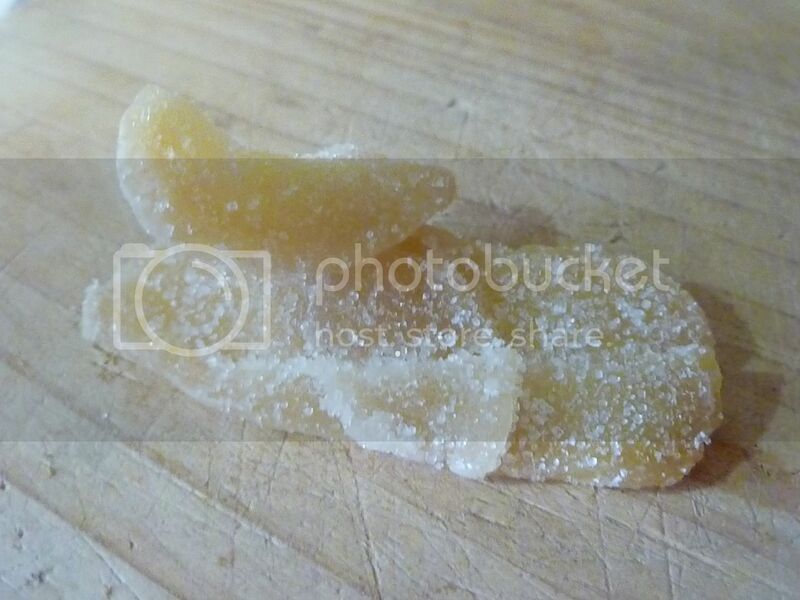 And because it's what my mommy would add, I bought myself some candied ginger. I gave it a good mince. If you love ginger, you could double the amount. This gave the cranberries a nice, subtle gingery bite. Stir everything together and turn the burner on medium. 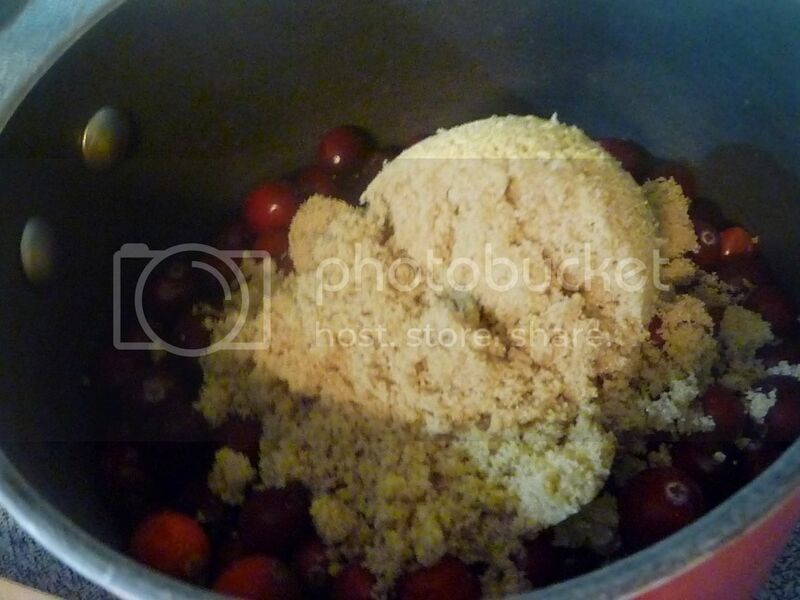 Once the berries start to pop, cook them for another 15-20 minutes, to allow their jamminess to come out. 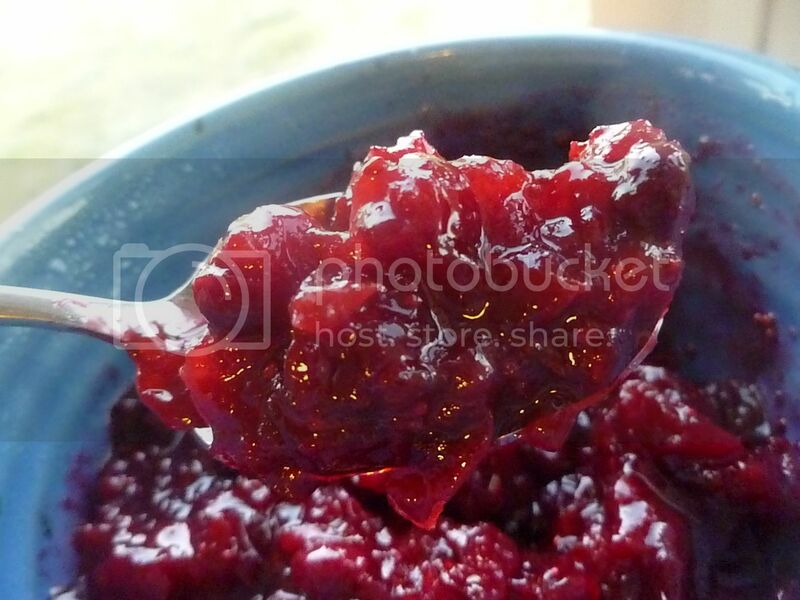 At this point, you could strain your sauce (if you like it in jelly form--just use a cheesecloth and squeeze all the jelly out) or you could leave it as-is, for a whole-berry cranberry sauce. Pour the sauce into your favorite serving bowl, and serve right away (if you like your sauce warm) or allow to cool. It will thicken as it cools. Take this spin-off of the back-of-the-bag recipe and serve it to your family for Thanksgiving. Who knows--maybe one of them will realize that cranberries aren't so bad, too. 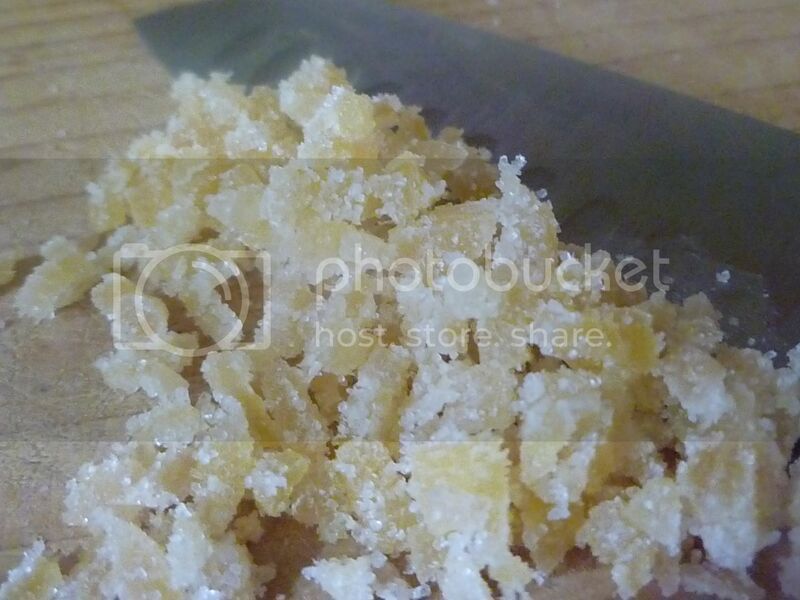 Combine all ingredients in a nonreactive pot. 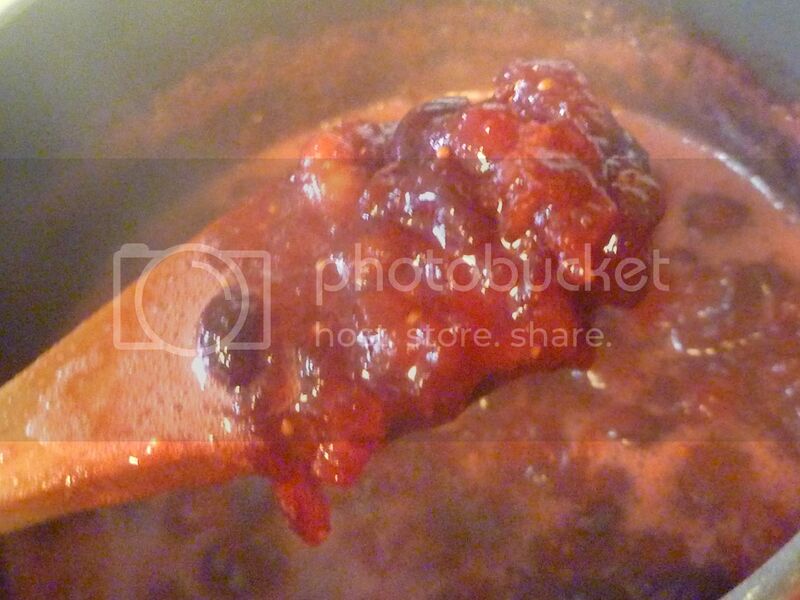 Heat over medium until cranberries start to pop. Continue cooking for 15-20 minutes. Let cool before serving. Strain in cheesecloth, if desired.